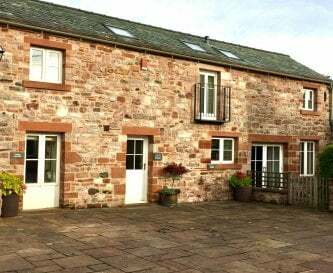 Salutation Yard, Skelton, Penrith, Cumbria, sleeps 4-15 in 8 bedrooms. 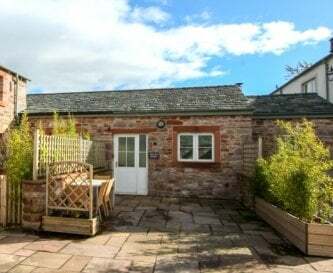 Salutation Yard is a secluded courtyard of 3 holiday cottages located in Skelton, a traditional Eden Valley village with a friendly pub serving excellent home-made food. 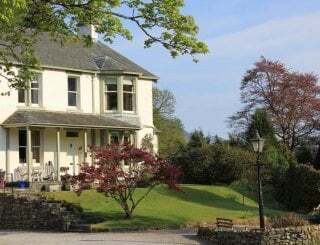 There are wonderful doorstep walks and cycling routes and it is an ideal location from which to explore the nearby Lake District. 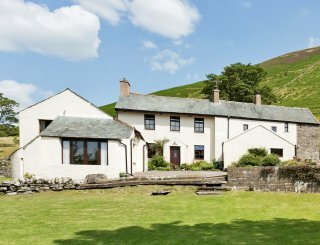 15 adults, 2 children and several infants can stay if all 3 cottages are rented together and a combination of 2 or all cottages can be chosen to cater for the specific needs of a group of family and friends. 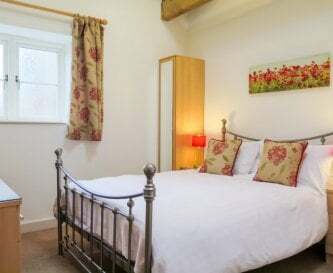 The cottages are particularly suitable for multi-generational family groups, with accessible bedrooms and living areas for the less mobile members of your group. They are also ideal for retreats or conferences. The village hall is just 73 metres away and may be hired (according to availability) to provide additional communal space if needed. 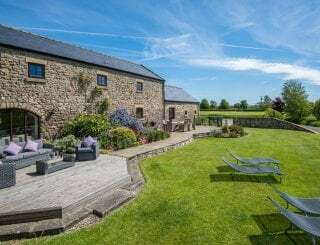 The cottages are converted farm buildings that retain much original character combined with contemporary features to provide the perfect base for a comfortable stay. 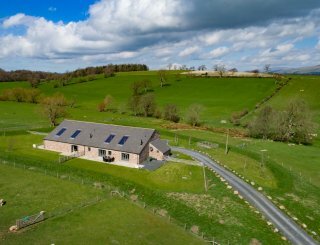 East Byre welcomes 6 guests in 3 bedrooms with 3 bathrooms. 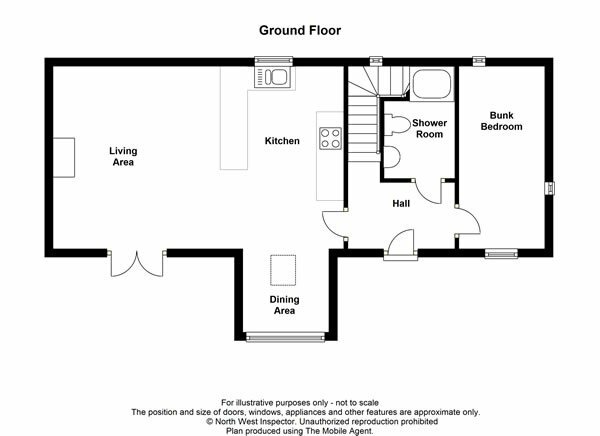 The self-contained ground floor accommodation for 2 adults and an infant is suitable for part-time wheelchair users. 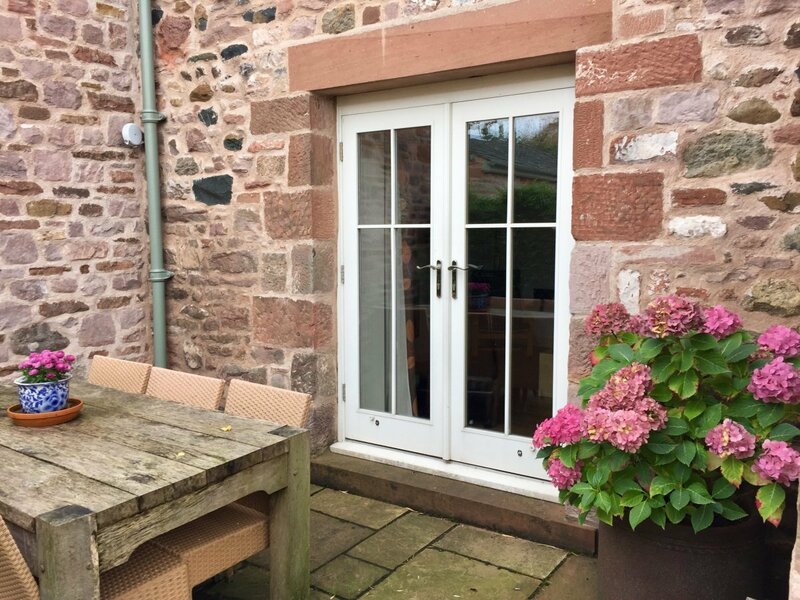 The dining table in East Byre can be extended to provide seating for 10 guests. 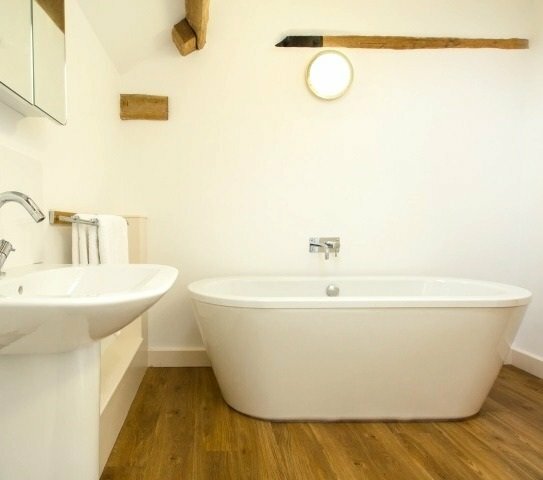 West Barn has 3 bedrooms and 2 bathrooms and is ideal for 5 adults and 2 children. 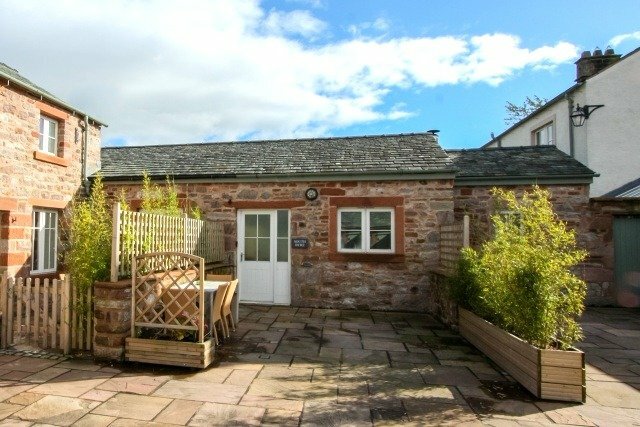 Pets are welcome by arrangement in this cottage. 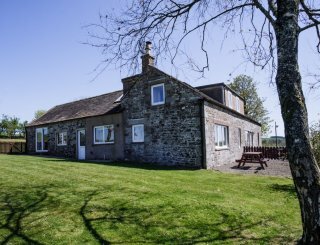 South Byre sleeps 4 guests in ground floor accommodation that includes 2 bedrooms and 1 bathroom. 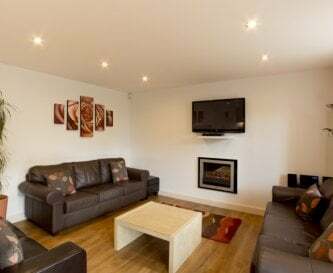 All the cottages feature free WiFi, a ground floor open plan living/dining/kitchen with cosy inset electric fire, TV, DVD, CD, iPod dock and board games. Each has a well-equipped kitchen area, a washing machine and a shared tumble dryer. 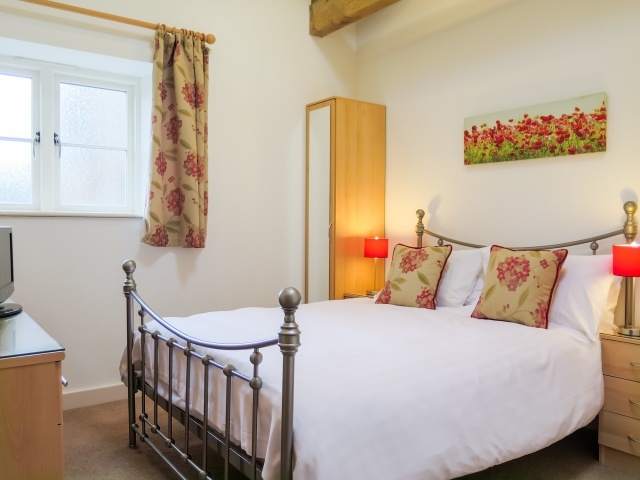 All have comfortable bedrooms with duvets, crisp white bed linen and a TV as well as contemporary bathrooms with a supply of fluffy white towels. Outside every cottage there is parking space, a patio table/ chairs and secure storage for outdoor equipment. 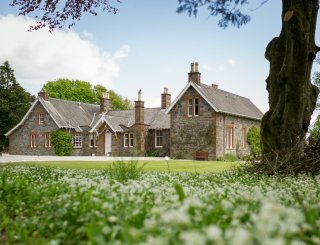 The fitted kitchen in every cottage includes an electric oven/hob/extractor a fridge/freezer, dishwasher, microwave, bread machine and food processor. Each cottage has a table and chairs for the number of guests it accommodates. 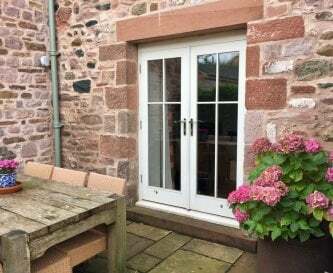 In addition, the dining table in East Byre can be extended to seat 10. 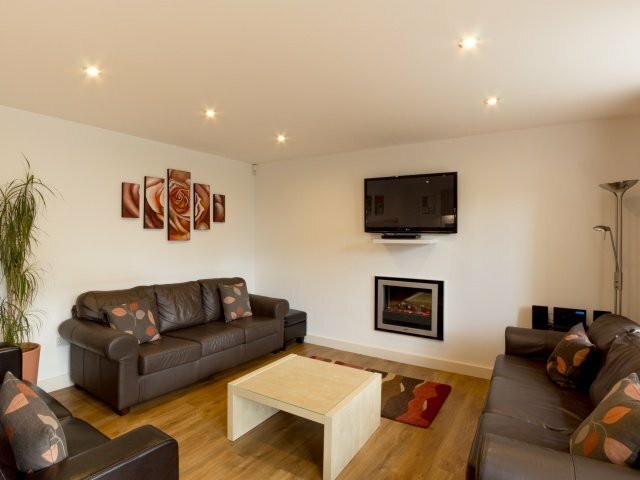 Each cottage has a sitting area with TV. East Byre has the largest sitting area with 3 x 3 seat settees, an occasional chair and 2 footstools. Every sitting area has a TV/radio, DVD, CD, iPod dock. 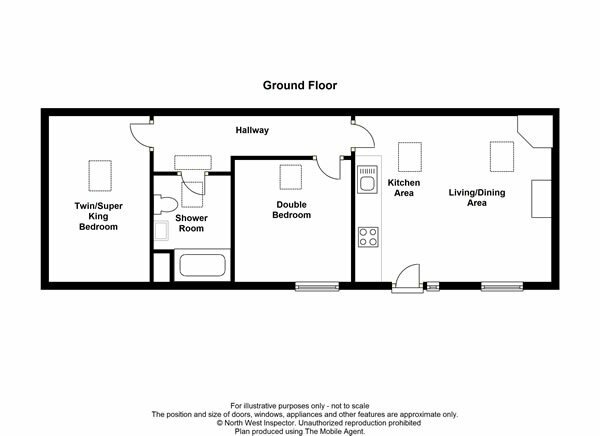 All bedrooms have a TV (some with DVD), all have a clock/radio. Free WiFi throughout the courtyard - good speed (approximately 40 MBS). Mobile reception varies according to network/exact location - patchy. 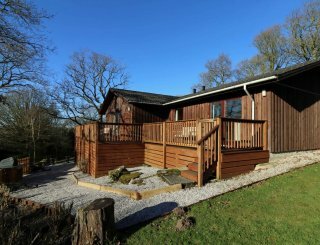 There is a selection of board games, and a 'bead roller coaster' toy suitable for toddlers upwards, in each cottage. 2 outdoor play areas in village. 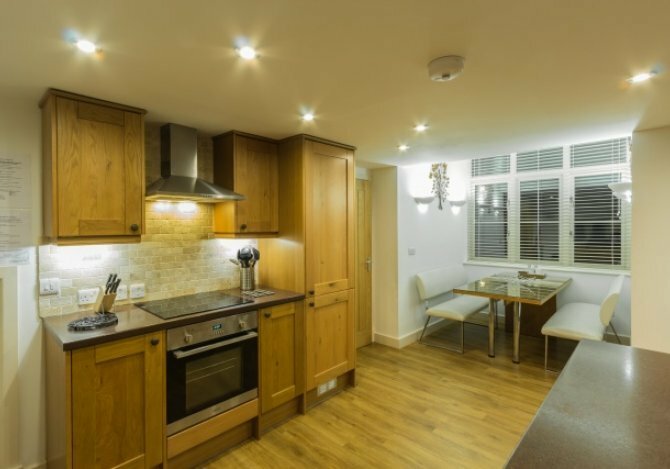 Heating costs included: heated by a combination of underfloor central heating (wood-pellet boiler), electric convection heaters and electric fires. 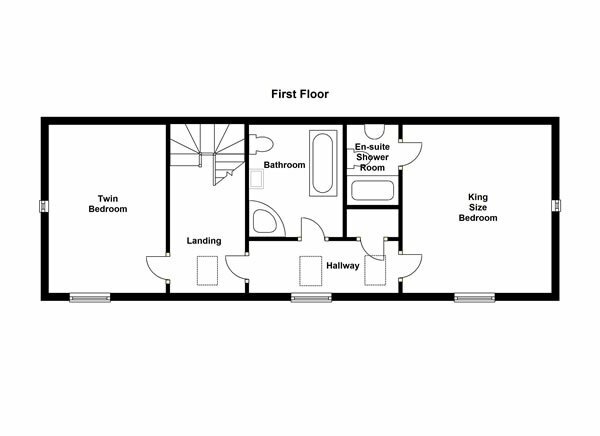 8 in total: 2 king bedrooms (1 en suite), 4 zip and link (super king or twin), 1 double, 1 room with shorter bunks and a standard single bed. 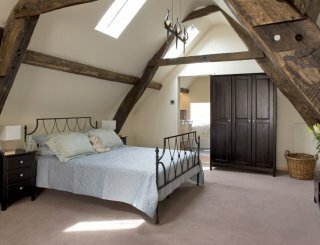 Price includes all bedding, tea towels, 1 hand and 1 bath towel each, bath mat in every bathroom. Please bring any cot bedding, baby/beach towels. 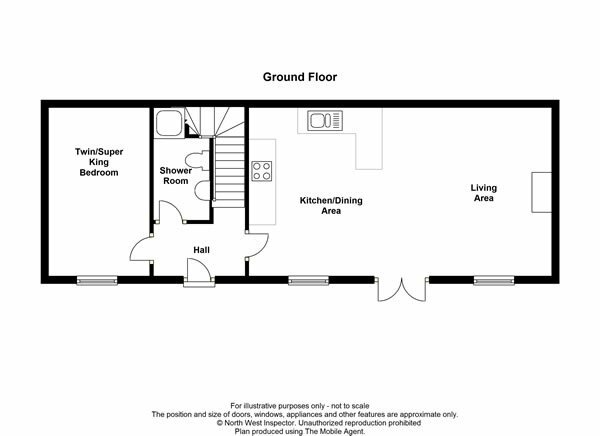 6 in total (3 ground floor): 4 shower rooms (1 en suite), with shower, loo and basin. 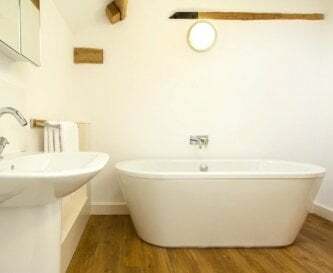 2 bathrooms - freestanding bath, separate shower, loo, basin. 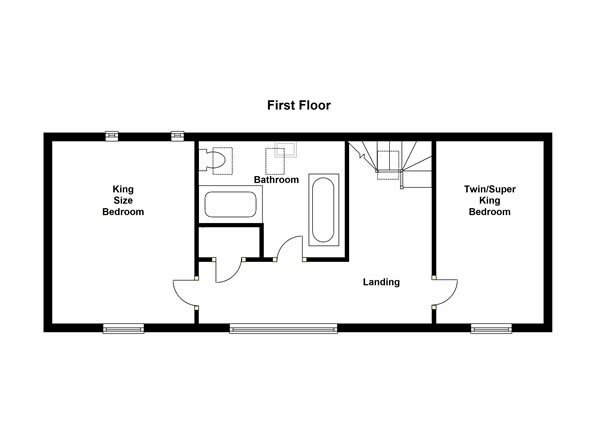 4 ground floor bedrooms + 3 bathrooms. 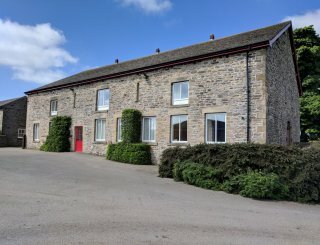 East Byre ground floor for part-time wheelchair users. Mobility equipment available to borrow, please ask. Cots, high chairs, baby bath, potty, child loo seat, step stools all available to borrow. Plastic tumblers/bowls provided. Outside every cottage there is a patio table + chairs and secure storage for outdoor equipment. There are public areas nearby for barbecues/picnics. 6 guest parking spaces within the courtyard with additional on-street parking available if needed. 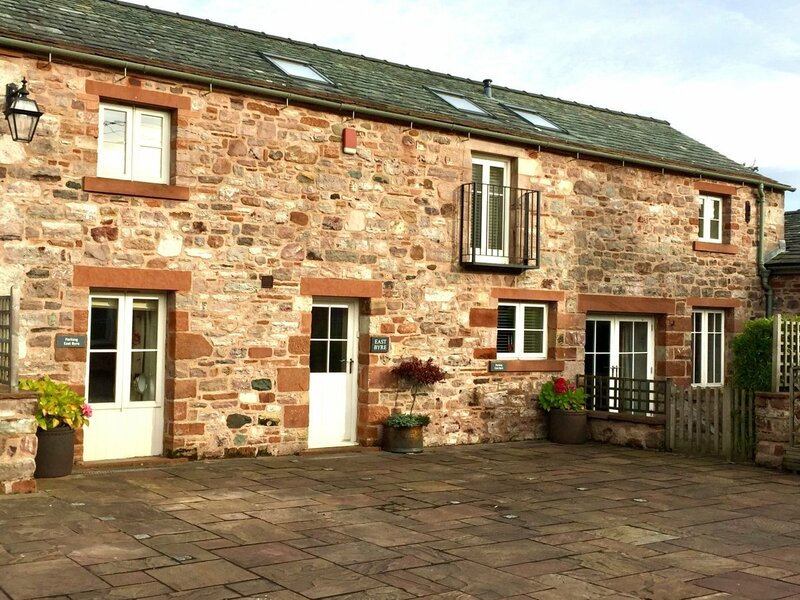 East Byre - 3, West Barn - 2, South Byre - 1. Smoking is not permitted within any of the buildings at Salutation Yard, however ashtrays are provided on each patio table for use outside only. 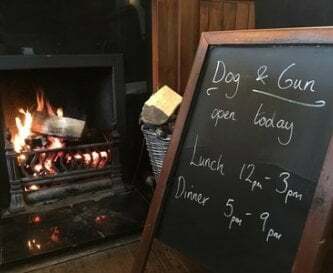 Pets are welcome by arrangement in West Barn only. 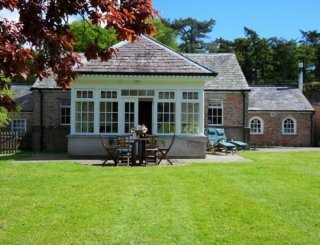 Salutation Yard is situated in Skelton, an Eden Valley village in north Cumbria. 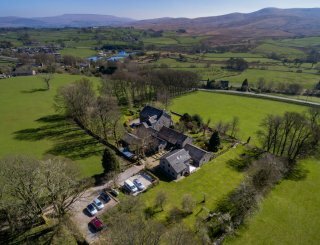 The village has a pub offering home-made food, 2 children’s play areas and a tennis court (seasonal). 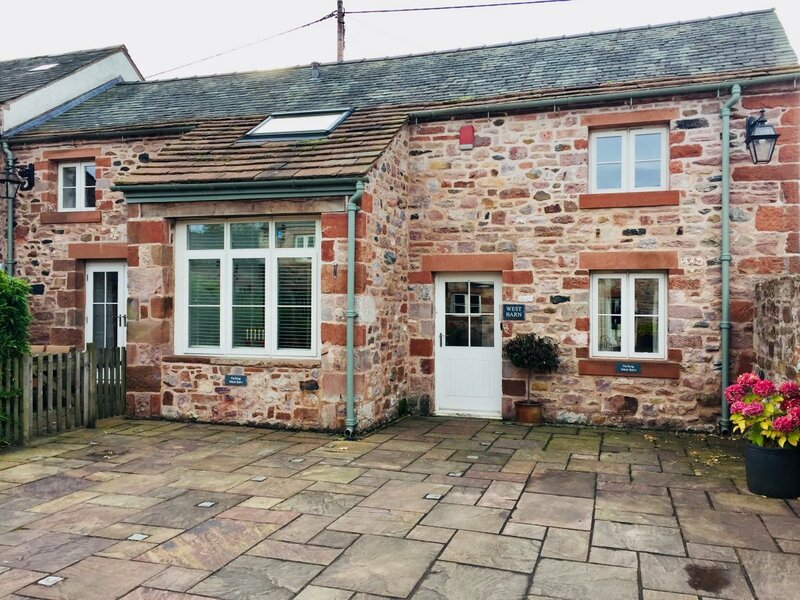 Penrith is an historic market town 6.5 miles from Salutation Yard and boasting a castle ruin, charming independent and major retail shops, a cinema and many other facilities and attractions. 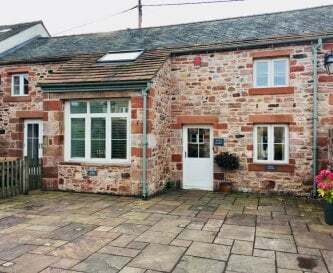 The Farm Shop Unthank, 1.8 miles away, Greystoke shop/post office, 4 miles away. 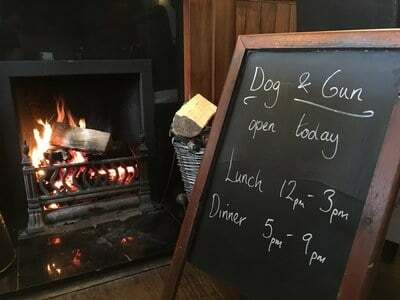 The Dog and Gun Inn (0.1 mile - 2 minute walk on pavements), The Upfront vegetarian restaurant (1.2 miles - 20 minute walk across fields). 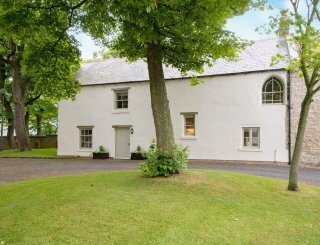 Prices listed are for rental of all 3 cottages sleeping 14. 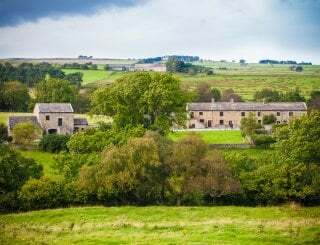 The cottages are available for short breaks (3 night minimum), Friday to Monday and Monday to Friday for much of the year. At certain peak times, only full weeks, Friday to Friday are bookable. Penrith, (West Coast mainline), 7.2 miles away. Bus stop in village, 0.2 miles away with very infrequent service (fortnightly! ).